Hold on to your hat everybody, the wind of change is blowing pretty hard at Papertrey Ink right now! PTI has been in business for 12 years and originally created the current business model that most companies are using successfully to this day. With that said, the paper crafting industry is now completely different. When we began 12 years ago there were only a few companies compared to the number of companies there are today. With all of these companies providing paper crafting products we have decided to make changes we believe will make us your ultimate choice for the best stamping and paper crafting supplies. Although we continue to thrive, we know that this is the perfect time to bring new perspectives to this industry. With these changes, we are bringing new talent with fresh ideas to take this company to the next level. We know how hard it is to offer new and innovative products on a monthly basis that compel people to be creative. Our goal is to wow you each and every month with new products that will make creating a card for your family and friends fun and easy. We understand as crafters that our creations are little pieces of our soul that we share with those we care about. This brings us to say goodbye to those that have been with us for so many years. We want to thank, from the bottom of our hearts, the product designers who have been with us over the last 12 years. Their contributions have made Papertrey Ink the leader that it is today in the stamping industry. We will always be grateful to Betsy, Lizzie, Lexi, Dawn and Kimberly for their dedication and amazing creativity. Many aspects of Papertrey Ink will remain the same. The changes we are making are to benefit you, and all of our amazing customers. We know the changes we are making are necessary to keep people motivated and happy on this crafty journey. Change is super hard for everybody, but we believe it is the only way a person or company can grow into something better. We want to leave you with the assurance that we will continue to provide beautiful and innovative paper crafting products as well as creative solutions for all your crafting years ahead! Interesting timing to see this post as today I was organizing my PTI goodies! This company is the single place where I have truly splurged for my crafty stash! So much of that has to do with these awesome designers, who without you, the paper crafting industry would have nothing to sell! haha! God bless you all and thank you for being such a significant reason we have all loved PTI! Wish you all the very, very best going forward. Lots of love. These ladies will be a hard act to follow, since it is their designs we have been loving, and purchasing. I wish them great success in any and all of their new endeavors, and hope to be able to follow them on their journey. I will also be looking to see where Papertrey ink goes from here. Hopefully, it will retain it’s great quality and creativity. I know change is hard for manyof us so hearing that these very talented ladies are leaving PTI brings me sadness and curiosity for PTI moving forward. PTI has been my go to stamp resource for products and design, particularly following Betsy and Dawn. I look forward to the exciting changes PTI has in store for us and wish the best to those of you that are moving on. You’re making me very nervous. With Dawn and Betsy with Lizzie too no longer designing for you I’m wondering what I’ll be seeing. I chose PTI paper and inks when I left another company primarily because of these designers and the stamps and died I loved from their creativity. It’s been a big investment for me. I love your paper and inks. Plz don’t discontinue colors the way my previous company did it was very frustrating. I wish you well moving forward as I anxiously await to see what the reinvented PTI looks like. NOOOOOOO!! Not some of your best designers!! Say it isn’t so! Best of luck to the ones leaving and the ones coming. I sure hope this isn’t a big mistake on your part. Y’all are crazy! These women are the reason for my purchases. I’m so, so sorry to see these talented designers and team depart. I hope PTI is truly prepared to meet the wants and desires of it’s fans and faithful followers. Please address the out of stock products and keeping a moderator on the forum. We sure miss the attention the team provided to the forum members. We love PTI and want to see it succeed. Change is good and change is difficult…though I only discovered Papertrey Ink more recently, I love your products and the wonderful project your team shares. Best wishes to those who are moving on. I hope to see your projects somewhere in cyber world…Thanks! I understand that change is an integral part of life. However when the majority of your product designers simultaneously depart, I can’t help but wonder if there is more than meets the eye. It is the talent and compassion of these ladies that kept PTI going. I agree that you might focus more on items that are never restocked, a site that does not crash on release night, products that are unavailable hours after a release, etc. These lovely designers will have continued success wherever the next road takes them. I only hope that PTI can survive their self created wind of change. ☹️ Such a sad week for those of us who followed PTI for years. Change is hard for everyone, even those left behind to carry the load. However, this post should have been published first before we found out through individual blogs. We’re all still waiting for that new website that was due months ago (maybe a year ago even). Restocking of inventory should be a high priority also. I doubt I’m the only one who quit requesting to be notified regarding back-in-stock items because it didn’t seem to help anyway. BEST of luck as you move forward! I hope this HUGE change is a good one for PTI. The design team members sell the new products. PTI still has great designers, but the designers that have just left were excellent in what they did for PTI. I think it is going to be difficult to find new designers that are as talented as Betsy, Dawn, Lizzie, Lexi and Kimberly. I am very disappointed to see them leave. They, along with your current designers, were the heart of PTI. I was glad to see this post. There has been an awful lot of negative chatter and speculation on FB, and I think we need to wait and see what direction PTI takes and give it a fair chance before we decide what we think about it. I’ve been here maybe 6 years now and love your products. Your designers are incredibly talented and inspire me all the time. I’ve enjoyed the fact that their styles are so different. But it seems that every time one has left, another talented creator has taken up the slack; and I long ago realized the world is full of talented people. While I will miss the designers who are leaving, I for one look forward to what’s next for PTI. Thank you for being a voice of reason in a sea of pessimistic attitudes. I have loved PTI from the start and I’m not jumping ship at the sign of change for mere speculation! I don’t typically comment, but I am feeling extremely disappointed with this news. Betsy, Lizzie and Dawn are fantastic designers, and their PTI designs are among the very best in the industry for colour layering and solid stamping. I hope to see PTI be successful in this new phase, but I will certainly be following these ladies with hopes that they continue with their wonderful deign work, in collaboration with another company (or perhaps one of their own). What a sad announcement! I can’t even imagine PTI without Betsy! She was by far the best designer ever, from start to finish. And Dawn, she too was a great inspiration! Not sure if these gals left because they are in search of new adventures, I sure hope so! if so, I wish them all the best. I’ll definitely be following them. It seems the last few months that Betsy and Lizzie were the main designers for stamps & dies. PTI has been my main source for my card making. I am very disappointed in this news, I was looking forward to February 1, not so much now. I’m wishing Melissa P. & Laurie S. the best as it seems they’re staying on board. All I can think of now is how money I’ll be saving without Betsy & Lizzie’s stamps & dies. Melissa P is not staying on eithet. I discovered PaperTrey Ink in October 2018. With that being said, I don’t have the emotional involvement most of these lovely PTI fans have, but I can certainly understand their sadness and disappointment with the departure of many of your company’s designers. Many of us are creatures of habit and find it difficult to accept change. Sometimes change is good; sometimes it isn’t. Obviously we are curious as to what changes will be made and in what direction PaperTrey Ink is headed. I feel I can speak for all the PTI fans that we wish only the best of luck to the incredibly talented designers who have made the difficult decision to leave. Of course, I hope that PTI continues to offer its customers quality products and innovative designs. Good luck to PTI as you alter your course. I am looking forward to seeing what this change brings. of creative talent and lovely people. It is so disappointing. Customer Service continue to make excuses for all of the dies are out of stock. They said they will be back in stock last summer (2018) & now it’s by March, 2019. I seriously doubt they will be refilling all of the out of stock sets with the departure of their wonderful designers. It is so very sad😢. New innovations may be on the horizons but I will be shopping elsewhere.. I have to agree with the comment about Nichole Heady’s departure, and was appalled that she wasn’t given any acknowledgment in the farewell notice. Shameful! I do look forward to the announcement & like many, many others, hope the out of stock dies will be restocked! I have loved this company for more than 10 years & am wishing for the best! I think that we all understand that change is necessary at times. However, to see that long list of designers leaving is nothing short of shocking. Betsy Veldman is one of the reasons that I purchase from Papertrey Ink. She is a brilliant designer. I cannot help wondering, and I am sure I am not alone, whether this list of talented women left on their own or were pushed out. Either scenario is upsetting to say the least. This new wind that is blowing certainly has me very concerned about the direction that Papertrey Ink is taking. Change is always difficult, but this is not only difficult, but a shock! Losing one top designer is a loss, but to lose them all at the same time-Whoa! I will be interested to see how this goes for PTI? This company has been my go to since the beginning of existence. I can’t even count the number of PTI stamps, dies, ink and paper is in my craft room. I know there are many talented people in the crafting business, but I can’t imagine making a stronger team. My prayers for all. Fresh talent??? There was nothing wrong with the talent that was there. Brady’s kits, shape shiftets, mix and may dies. These ideas were fresh and innovative. Imo, PTI will NEVER be the same and I can’t imagine it will be better. It has been the only company i order from. Perhaps the new changes will be a website that doesn’t crash, dies that are resolved in a timely manner and not taking more than a year to restock. Just as the design team is leaving, I might also be leaving. Will definitely order in Feb to stock up on paper and inks. Things are beginning to make sense. I have written to Papertrey regarding the disappointment in not being able to purchase new release items because they sell out within a very short time on release night. There is no excuse for this, in my estimation. I have been with Papertrey since the very beginning, and I have spent a great deal of money purchasing products that I was very excited to use. There is no longer a reason to check in. This is a very sad day. Betsy’s kits were something that I looked forward to each year. Dawn had such vibrant and great designs, one of my fav’s being Gran’s Garden. Lizzie also is a fabulous designer- just purchased her Merry Mug at Christmas. It is something that I speculated could happen but was hoping not. First Nicole, then Heather, and now this extraordinarily talented women. I am very sad but hope PTI can continue to survive and change some of the ways they have conducted their business. As predicted, this is the end of PTI. I was only following this site because of those ladies that are leaving. I know that they say “if you can’t say something nice, don’t say nothing at all” but so sorry to see this has happened. Yes, bittersweet for all involved. Sometimes change is good and sometimes it is not, but I wish PTI success for this new year. I hope PTI isn’t continuing down the path of “live secret sales” and ultra expensive SAF. I am interested to see what is coming next. I, for one, welcome the changes. I feel like the stamp designs have become predictable, and there are so many monthly series. I have moved onto other companies to spend my money at. Change can be uncomfortable, but it can also be good. Best of luck to the departing designers. I echo similar dismay after reading that Betsy, Lizzie and Dawn are leaving. I’ve always found their designs, products and creative energy an inspiration. Time will tell if this is a reorder and rebuild for improved products and service or signs of a company struggling to survive. Best of luck to the departing designers and PTI. This is so frustrating , annoying, and disappointing at the same time. Having been one of the customers since it’s inception and a faithful one at that…there is nothing good about this announcement. As others have already said, customer service has steadily declined. The only thing keeping me hanging on was knowing the wonderful personalities of the designers, their creativity and fresh perspective with each new release!! Your lack of faithfulness to them…and to your customer base is so disheartening. This announcevent is late in coming. I, like most of the customers mentioned, am insanely disappointed (I really do want to cry a little) that the designers are leaving (Betsy and Dawn were my go-to gals for creative inspiration and I have NEVER been disappointed with them). I’ve been a loyal customer since nearly the beginning in 2008, only buying from PTI bc the designs are stunning, the products are wonderful and it was so easy coordinating everything. And while I agree that changes do need to be made to improve some of the things going on there, never did it cross my mind to lose the major talent that the business has. Whatever the reasons are, I hope PTI isn’t making a huge mistake and that it as well as all the designers are on to bigger and better things (business reunion with Heather & Nicole??) I will truly, truly miss them. We will never know the reasons, and probably aren’t meant to. Our favorite designers are favorites for more than just divine creativity, but for their intrinsic goodness which is reflected in what they do and have shared with us over the years. Thank you to Nichole for cultivating an amazing group of women who consistently strived to inspire us and help elevate our own creativity. Cheers to you Melissa, Heather, Betsy, Dawn, Lizzy, Kim and Lexie. My loyalty is to the people who inspire me, so I will continue to follow where you lead. It’s true that change is hard. Let’s hope that these changes being put forth by PTI are customer centric. Like many other commentators, I am also very disappointed. I really missed Nicole’s input but kept up with PTI because my other favourites, Betsy and Heather were still there. However, I realise that people like to experiment and that businesses need to innovate. Something really good might emerge from it, I really hope it does. I have been a Papertrey customer for simply years, so look forward to what emerges from all this change. I am also quite sure that all these very talented designers will continue to be the brilliant designers that they obviously are and I can’t wait to see where they go. Thank you also for the years of inspiration you have provided and good luck for the future. So sorry to see my favorite talent leave PTI and I am waiting patiently to see what is coming. Here’s to a multitude of joy and blessings to all – the talent moving on to new phases of their lives and to PTI. Seems like it’s time for a change even though I will miss the unique & special creativity offered by the team members who are leaving. It seems that for the past 2 yrs. the web site has not been updated appropriately making it cumbersome to go thru & find product easily(especially new products), as well as examples of items created by your customers made using your products. These were a great reference for ideas outside the ones offered by your design team. The Community Forum is useless, as is the gallery. Some of the new ideas that have been implemented also seem cumbersome and time consuming (the new release catalogue takes too long to look thru) and the videos that are offered with new products & ideas, at times seems like nothing more than gushing rambling, also a waste of time and mostly boring. As someone who has been using the PTI website & the products since it was created I have found over time it seems to get more confusing, unorganized, inadequate and frustrating to use, compared to the easier ‘user friendly’ layout it used to be. My opinion is that websites that keep it simple and easy for the consumer to use, as well as new ideas for using their products keeps my attention longer and brings me back more often (stickiness). I am looking forward to seeing what new ideas for products (stamp images, embellishments, dies, paper etc.) you will offer. I feel there are many stamp sets that repeat the same theme (flowers & nature, birthday, kids themes etc) but with different images. Probably time for fresh ideas for stamp images, which will come with fresh faces to the design team. Good luck with the new changes! Looking at your team, all I can say is, Good Luck! Yes, Betsy and Kimberly were removed quite quickly. Dawn and Lizzie have remained , a bit longer. I am truly sadden by this news also. I have a few dies/stamps from PTI and love them. Their designers were outstanding and I will really miss the inspiration they passed on to everyone. I’m hoping doors open for them and bring bigger and better opportunities for these talented ladies. Designing is hard work and takes huge amounts of time! If anyone is reading this posting I could use some help. I am trying to find out if there ever was a die for an old time mailbox? I know PTI offers a mini white metal mailbox- MBOX for $4.00 but to the right of the photo on the site is the paper version I am looking for. I saw it posted somewhere a long time ago and now wished I had ordered it. Not sure if it was part of a sold out/discontinued kit? Would appreciate any help…thanks much! Could you be thinking of the Make it Market: Post and Parcel Kit? WOW. The end of PTI. No Dawn, no PTI. It was fun while it lasted. I love you, Papertrey Ink! I will miss the designers leaving the team, and I wish them great success! They are very talented! PTI literally stole my heart a few years ago, the happiness I feel when seeing what is created with your products, and what I create is blissful! I cannot wait to see what you will offer next, so excited for your future, I know it will be great! Hoping that you aren’t going to cutesy stamps like so many other companies. Agree totally! Not my style of stamping. I am greatly sad Betsy is leaving. She was main reason I purchased your stamps because of her designs and subject matter. Betsy Veldman is an Awesome designer and my favorite. I think you are making a mistake in letting her go. The best change you could make is to sell your products on other venues like Simon Says Stamp. You could also have some discount sales instead of once a year on your anniversary. I like Simon Says Stamp because I usually order when I get $5 off which makes me feel like shipping is only a couple of bucks. In contrast, it takes time to want enough PTI products to add up to $80 to get the free shipping. I only order at that time. Hint. I like a lot of Altenew products. You will never replace Betsy. Just saying. I have to say that I am a little paranoid regarding upcoming changes. I’m going to miss some of the designers… from the comments I’m reading, Betsy will be truly missed. I’m a different type of crafter… I like what I like and that includes many many different styles, etc. Most changes I’ve seen companies making lately have not been putting me in my happy place. One thing I will say though is that I do not like having to pay shipping charges. I don’t shop on line as much as I probably could for that reason… I want to keep local people employed too so I shop local first. If I can’t get that product through local channels, then I look online – few “sales” and high shipping charges as well as high “minimum order amounts” for free shipping are caution signs for me. I’ve enjoyed Papertrey Ink but I’m sure I’m not one of your largest customers. Since loyalty isn’t valued I will shop elsewhere. It’s so sad because it didn’t have to be this way. Like most I’m sad that so many of the designers have decided to step down, but I’m hopeful that PTI will continue to offer unique and innovative products and hopefully improve on areas that have been lacking (i.e. website, out of stock dies). That being sad, I am very disappointed that PTI did not give each of the designers the send off they truly deserved. In the past, when a designer decided to step down, there would usually be a blog post announcing the change and celebrating what the designer brought to the company, wishing them well and so forth. For PTI to have left the announcements to the designers themselves and not recognize their hard work and contributions, is very disheartening. I will continue to follow all of them on their blogs and through social media and wish them nothing but happiness and success in their future endeavors. Thank you Nichole, Heather, Betsy, Dawn, Melissa, Lizzie, Lexi & Kim for all the years of inspiration! You will be missed! In reading a lot of the comments, I see that a large number of people want the designers to continue their work for PTI. If change is for the customer, then maybe the PTI Team should think about keeping the designers that have brought all these customers to PTI instead of making a change that removes the designers. With that said, maybe the designers wanted to move on, but it doesn’t appear that the customers want them to move on. It’s hard to know what’s really going on here with this news. I am so sad to hear this news. Papertrey Ink has been in my humble opinion the most innovative paper crafting company around. From the very beginning heard and shoulders above the rest in design, website, presentation of products, even packaging. You’ve kept your prices reasonable as well (I appreciate that). Your designers have been top notch, and I for one have learned so much from them. In fact, I started stamping and blogging because of a “Christmas House” created by Melissa Phillips I saw in a card magazine. It was absolutely beautiful and I was smitten. Melissa’s beautiful project lead me to her blog and then to your company. I was inspired and never looked back. But, there are other things besides the beauty of your products and your innovative ways that have kept me a PTI customer. It’s the integrity of your designers. Never have I seen anything that would offend someone. In the times we live in now, I appreciate that. I love my time at my art desk and I follow designers for their artist skill and talent, not their views on hot topics. Many of your designers are women of faith – I love that. I love how you’ve stood by Dawn during her illness, and how I’m always inspired by Melissa’s sweet spirit, and Betsy’s kind and gentle ways. These are just a few of the women we are going to miss so much. I read one of the comments above and agree. It’s going to be hard to fill their shoes – that’s so true. These women have helped build the company to where to where it is today – they helped set a standard. I look forward to seeing where PTI will go from here, and I wish you all the very best. This is a hard pill to swallow, I will be waiting for the changes, but frankly I am not enthusiastic about it. You have let go of the people that have MADE this company into what it is. Without Nichol, Betsy, Lizzie, Dawn and Melissa and let’s not forget Kay, and although for your sake you are still keeping Michelle,Kelly and Laurie, to me it won’t be the same as before. I think that loyalty is a very important and integral part of business as well as personal matters are concerned. The fact that they are leaving gives me a sour taste in my mouth. I buy from other companies also and these ladies are at the top of the top, whoever advise you to do this was so wrong! I am not concerned for these designers for I KNOW that they will be EXCELLENT with the companies that will hire them, it will be your loss and their gain! If anything I will be on the lookout to see what companies will hire them and follow THEM wherever life will take them. I hope that this decision does not come to bite you in the end! I’m in a state of shock ! 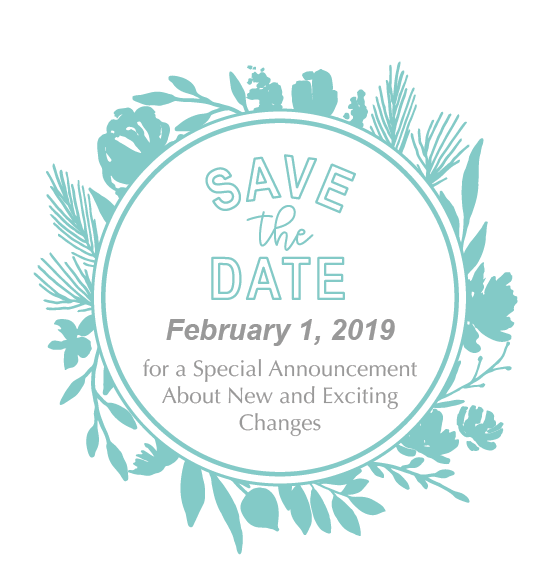 When you first posted “ Save the Date, Feb. 1st!” you made it seem like something fun and I was excited. This is the opposite & I want to cry. I actually have. In your post, you talk about new competition to the industry. I (like many customers) have already checked out the other online companies and PTI still offers the BEST “ adult “ designs- Hands Down! It’s also stayed financially competitive. So by getting rid of your original design team means you are going in a new direction? I’m very sad and worried. There is a very good reason this company has been so successful, its the design team! The customers you have today are because of them, including me. You mentioned in your post that change is hard, I agree. But some of the newest changes by management have been the worse, in my opinion. No more galleries, uninteresting videos, unavailable stock, a website that is hard to follow (ie Pinterest), un-useful forum and a $300.00 Stamp a Faire kit! Basically, not customer friendly. Your magazine is redundant and slow, which is why I don’t use it. But, I’ve stayed on with Papertrey BECAUSE of the amazing designs, mostly by Betsy but also Dawn, Lizzie & Melissa. These gals have had their designs published in magazines dating back to Papercrafts and the beginnings of card making. As they have grown, so have we. And now they aren’t relevant? I’m not opposed to change but basically the whole design team? All at once! Is this an economic decision or faith based? I don’t know who is in charge of changing the entire company, but I’m worried. Big time! Based on the newest changes I’ve already mentioned, its not the first time new management has ruined a company. I know that seems harsh, but it’s true. I hope management will know what the customers want going forward and they think it will be better than what the team already gives us. I don’t mean to be hurtful to others, I sincerely don’t, but the products recently offered by your newest designers have not inspired me to buy, for one reason or another. I’m sorry, but I’m just being honest and I’m being honest because I’ve been loyal to PTI. I wholeheartedly agree with everything that you have written here. When you talk about change ruining things it immediately reminded me of Victoria magazine. When that first came out in the late 1980s it was absolutely outstanding. It got better and better over the years and then new management in the shape of Peggy Kennedy took over and it was not long before the magazine was in ruins and then ceased publication. Change for the sake of change is not beneficial. If you have something that is working so very well, leave it alone. I tried to leave a comment the other day… and I don’t see it. So…. Wow, just wow. That is all I can say. I know there are other great designers that deserve a shot in the limelight, but I am so very sad to see these wonderful ladies leave. I came here after spotting a pinterest post of Dawn McVey’s vintage thermos stamp set. I instantly fell in love with her style and designs. I have come to love Betsy’s designs among others as well. I am hopeful that there really are great things to come to PTI in February. This is just so shocking. Time will tell what the future will bring… as I said, I am hopeful but I am also nervous. The new designers have huge shoes to fill. Good luck to them and to everyone remaining at PTI. I also wish many blessings and opportunities to the designers leaving. I’m very sad at the news that so many designers are all leaving at the same time. This is not a coincidence. Even if it was their decision to leave (as several of them have expressed in their personal blogs), clearly, they have a reason… likely a big one. Like so many other customers leaving comments, I’ve been a customer of Papertrey for at least 5 yrs now. I found them when I found a new love – card making. Again, like many others have expressed, my favorite stamps come from the ladies mentioned above. Thankful that, at least for now, Laurie and Kelly are sticking around – love their projects! However, if Papertrey Ink is in fact changing it all up to “bring it to the next level” then I hope they really “wow” the customers or it’s going to be a big disappointment for all of us that love the designs they’ve had for so many years. So, needless to say, I’m not optimistic. I will be checking in to see what the “big announcement” is on Feb. 1st and hope for the best for PTI. But for sure, I will be keeping an eye on Betsy, Dawn, Lizzie, Lexie and Kimberly’s future endeavors. I cannot wait to see what the future has in store for them, for they are extremely talented and I have no doubt that they are coveted by other companies! I agree with so many of the comments made so far. I was shocked when I saw design team members announce their departure on their blogs. I felt not only sad but have had the feeling that something was/is amiss. I have shopped PTI because of these designers. Their creativity was above board. I also agree that your web site change wasn’t an improvement when Nichole left. There is no idea gallery which is essential as far as I’m concerned. Trying to find ideas and posts has been difficult to say the least. I wish you the best and we’ll see what happens with your company as to whether or not I will remain a customer. I have always loved your products so I’m hoping for the best. So here’s my FAREWELL to ALL of the Designers Leaving, beings I DON’T feel they got the PROPER Goodbye they ALL Deserved!! For some reason I missed this blog post when it first came out but following Betsie, Melissa, Dawn and Heather’s blog posts and watching them one by one leaving PTI so quickly, I started wondering what in the world was going on at PTI. Then I read this post and my heart became heavy knowing these ladies were let go in order to make PTI better – more able to compete with newer companies. Yes, like the rest of you, I will continue to follow these amazing artists and I know they will succeed in anything they do, but we have been spoiled to have them in one fabulous company, creating and inspiring us with their art and becoming our friends at the same time. I guess that is what brings so much sadness. I’m so grateful for the time they have been with PTI and their art is in my craft room, ready for me to use and bring smiles to my family and friends. Thank you ladies … you will be missed by me and obviously so many others! PTI – I will visit you on February 1 to see what you will be offering. My sadness and disappointment takes away and anticipation you are hoping for but I will take a look and hope that you will continue the goodness that PTI is known for. I wish PTI well. Like many of these posters, I have been a long time customer and fan of PTI. I’ve seen designers come and go over the years for various reasons. I’ve followed, and continue to follow their respective blogs to see their creative journey and try to glean some inspiration for my own work. I’ve purchased literally thousands of dollars of PTI products over the years because of these talented designers and their work. I truly hope that PTI can come back from this sad place it seems to be in right now, but I am doubtful, and frankly at this point, it won’t make me feel any better about supporting them as a company. I am saddened by the company’s treatment and lack of respect for these designers and their past work. Personally I’m boycotting PTI from now on and will not continue to support a company who refuses to treat their customers or own employees with the dignity and respect they deserve. They are not the first company to implode, and I’m sure they won’t be the last, but I’m done.